At least six active wildfires are currently burning across Colorado -- Waldo Canyon Fire near Colorado Springs, High Park Fire near Fort Collins, Flagstaff Fire near Boulder, Little Sand near Pagosa Springs, Treasure Fire near Leadville and the Weber Fire burning near Mancos. 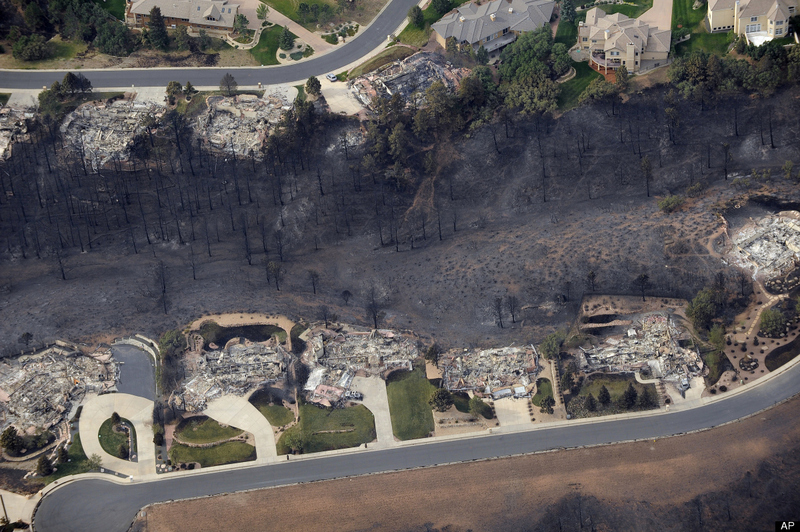 Record heat, beginning of the weekend of June 23, has produced a surge of new fires burning throughout the state and also provided fuel and devastating growth conditions for the fires already burning -- it's the worst wildfire season in a decade. On June 23, NASA's Moderate Resolution Imaging Spectroradiometer (MODIS) on the Aqua satellite captured a natural color image of the entire state. 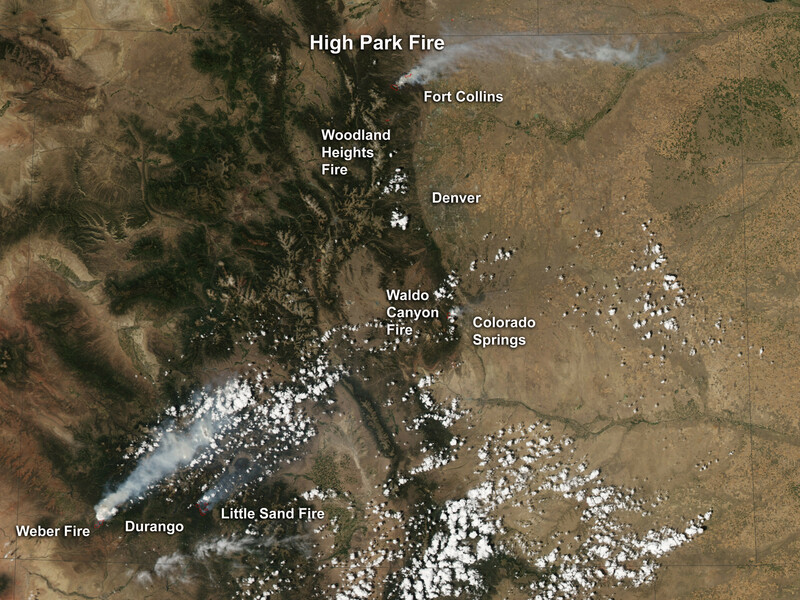 In it, massive plumes of smoke from the largest of the fires burning at the time can be seen stretching for miles across the state with High Park Fire and Weber Fire's smoke being the largest.